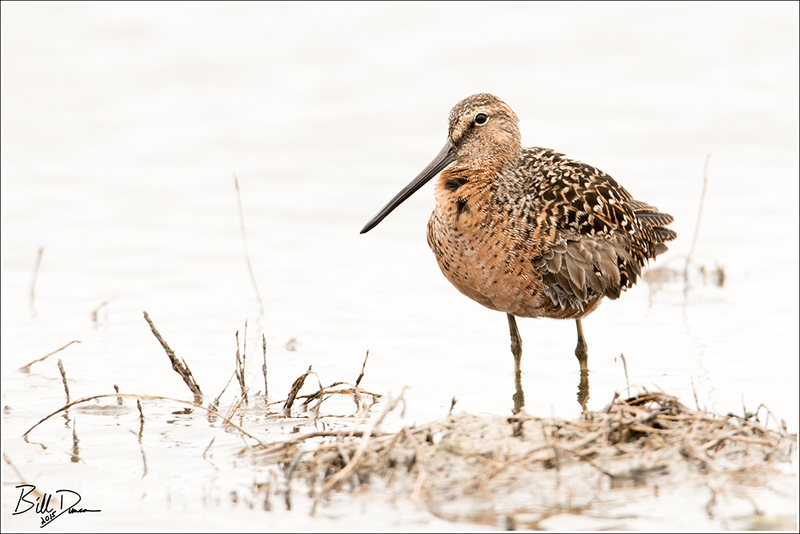 Considered conspecifics for decades, both the Long-billed and Short-billed Dowitchers breed in the high arctic. Differences in plumage, migratory routes and breeding isolation, followed by allozyme and mtDNA evidence suggested separate species status. 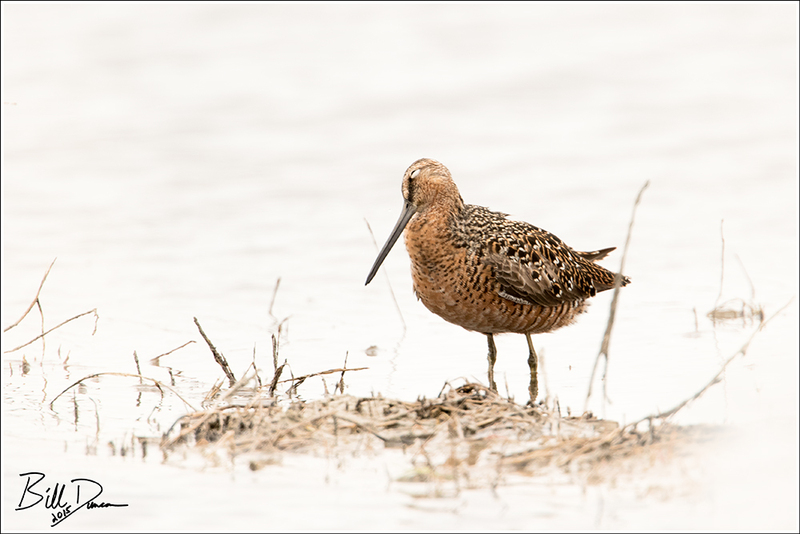 The Long-billed, pictured in this post was the only Dowitcher species Steve and I were find at Quivira. This is not altogether surprising due to the Long-billed’s preference for freshwater during migration and the Shirt-billed’s tendency to stick to marine environments. The long, thick legs and bill give indication as to the depth of water in which these birds feed and they probe for prey using a rapid up and down motion that is quite reminiscent of the action of a sewing machine.